Before mid November set in, I made sure our Christmas tree was up. I knew the girls would want to help decorate it - especially since this year Natalie was already walking and moving around and about. 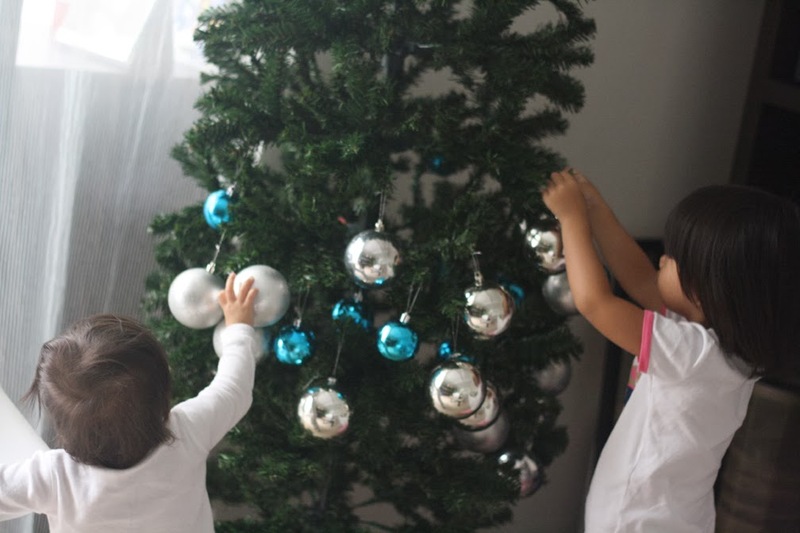 Best of all, she loved doing things with her big sis so decorating the tree was something I knew they would enjoy together. 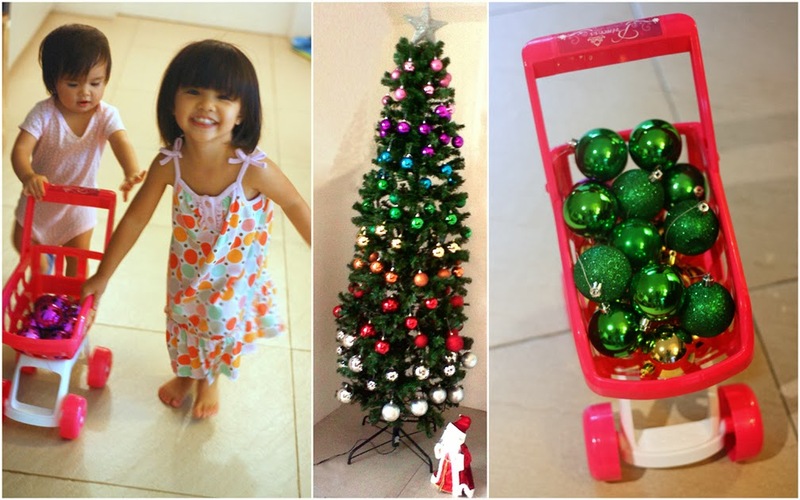 By December I wanted to add more decor to the tree. And since I don't really like frilly decorations around the house, I had to come up with a creative yet simple and modern way to jazz up the tree.